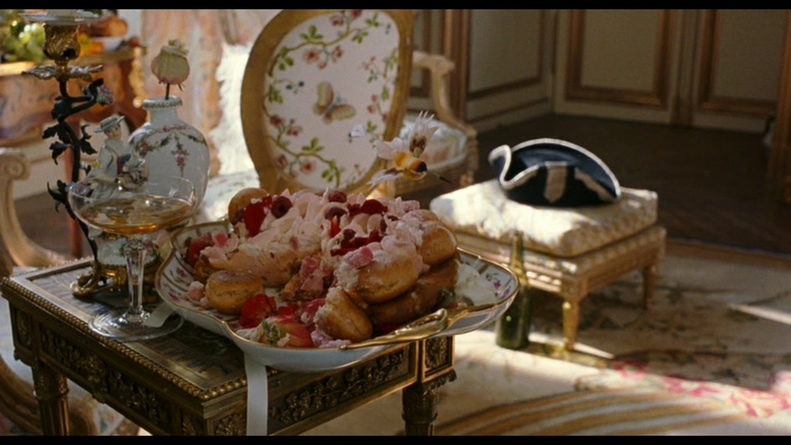 I have no idea why I was so reluctant to check out Marie Antoinette. I guess it was something to do with Sophia Coppola’s track record. I loved Lost in Translation but hated The Virgin Suicides. Kirsten Dunst completely put me off that movie. I always thought she was really over-rated as an actress and never really saw why people thought she was attractive. I guess it was the impending release of Somewhere that made me want grab the DVD of Marie Antoinette off the shelf and finally sit down and watch it (although, I have to be honest, if Zodiac had been 40 minutes shorter, I probably would have ended up watching that instead). Now, I realise that Sophia Coppola isn’t the world’s greatest writer. I can overlook this. (I mean, I said I loved Lost in Translation, right?) And I realise this film isn’t meant to be an accurate historical document, but she manages to paint Marie as a genuinely sympathetic figure. And how did she do this? Do we get two hours of philosophising masquerading as character development? Hell no. In fact, I’d be shocked if Kirsten Dunst had more than 100 lines in this movie. It takes a rare skill to do so much with so little. And yes, I finally see what all the fuss is about Kirsten Dunst. She is terrific in this film. A perfect fit - I can’t think of another actress that could have pulled it off quite so well. Completely changed my opinion of her. But I also think an awful lot of the success had to do with the way Coppola uses music in her films. The new-wave soundtrack cute, and a great way of hammering home the idea that these kids really were the punks of their time. But it goes beyond cute juxtaposition. Aphex Twin’s ‘Avril 14th’ is an incredibly powerful and evocative piece of music and was perfect for the tone of this film. (Only one other film I’ve seen has used this song at all, and that was Chris Morris’ equally amazing Four Lions.) That Coppola manaaged to create such amazing visuals and find the music to match the mood of the scene so perfectly speaks volumes about her success and skill as a director. Speaking of cute juxtapositon, I loved, loved the pair of chucks in the background of the spending-spree scene. Something about this is absolutely perfect. It tells us everything we need to know about the character through one tiny, incidental anachronism.